Attitudes and technologies around business process management have changed, particularly because of industrywide shifts from monolithic, legacy platforms and a tightened relationship between BPM and rapid application development. This shift caused the analyst firm Forrester to coin the term digital process automation as a way to describe the suite of capabilities that will be essential to any BPM strategy going forward. And according to experts, two technology developments — robotic process automation and AI — will play a critical role in the future of BPM. 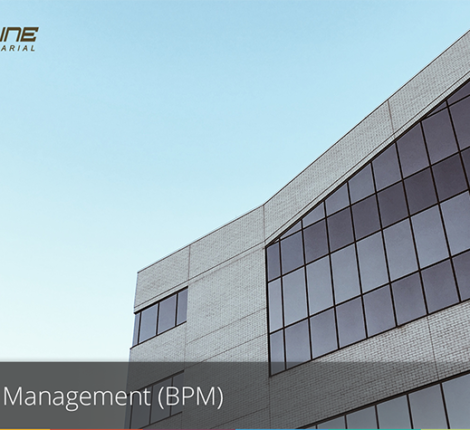 Read the detailed list of benefits of implementing BPM here. The term BPM has suffered from the perception that it inhibits innovation, according to Rob Koplowitz, senior analyst with Forrester. This is a characteristic that cannot survive in a time where rapid software deployment has become a priority for many businesses he said, and this has pushed Forrester to create new terminology around BPM. Industry experts also believe it is time for enterprise architects to let go of an outdated focus on BPM and focus on business value instead. One of these key capabilities is automation, which is where robotic process automation (RPA) and AI step into the BPM picture. RPA is emerging as a strong BPM technology, according to Paul Gaynor, partner at PwC. In fact, RPA resembles the screen-scrapers developers used many years ago, he said. “We have moved beyond the simplistic nature of process toward using a higher degree of automation,” Gaynor said. Part of the interest in RPA stems from the need for enterprises to keep up with new regulations and government mandates, Gaynor explained. As a result, enterprises are looking at how to both limit human intervention and address those regulatory requirements. “We see robotic process automation and the term bots as the precursor to the landscape of intelligent process automation,” he explained. In the short run, bots have tremendous promise, Gaynor said, because they can enable enterprises to create an integration tier between legacy apps and new cloud services. Gaynor said that the cloud also plays a large role for organizations that want to increase agility, unlock data and get the data into an environment that enables more predictability, both from a usability and cost perspective. “The cloud offers an intelligence layer that allows big data scans to take place at a more achievable compute cost,” he said. RPA can help companies automate many existing processes, Gaynor explained. RPA can also make it easier to implement integration patterns that are not always baked into more modern cloud applications. Many enterprise business processes depend on providing stakeholders the right answers at the right time, he added, and RPA can help organizations get answers faster. Another trend that industry experts say will shape the BPM market in the coming year is the development and implementation of AI software. This technology enables organizations to automate more of their business processes and improve the efficiency of their organizations, according to Jeff Kaplan, managing director at THINKstrategies, an IT consultancy. There is also increased interest in new interfaces, such as voice, for interacting with processes, Forrester’s Koplowitz said. In some instances, this could be a matter of convenience, such as a user updating an address through a device like Alexa. “The more interesting use cases involve new work patterns as with a field salesperson accessing critical content through a voice interface, delivered to a screen device, without the need to stop working with his or her hands to drive the screen,” Koplowitz said.